Almost a half-century ago, CWLA’s pioneer work in foster care education and foster parent advocacy was realized largely through the effort of former CWLA staff member Helen D. Stone, who served during the 1960s and 1970s as CWLA’s Foster Care Project Director. CWLA was contacted by Helen’s family this past spring to announce her transition from her home in New York to a senior care residence, coincidentally near the headquarters of the National Foster Parent Association (NFPA) in Minneapolis. 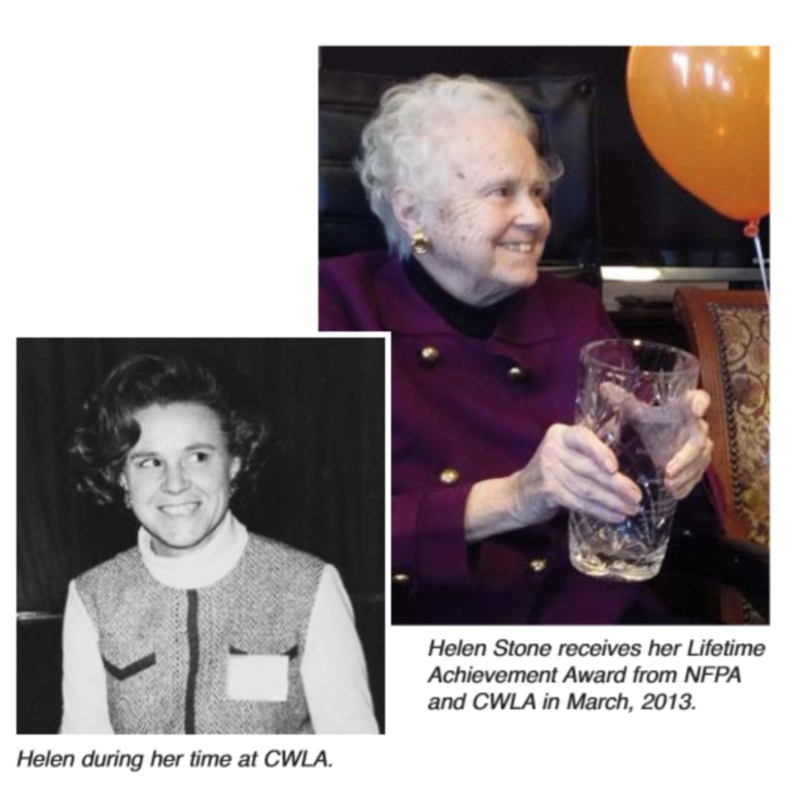 CWLA and NFPA deemed it timely to honor Helen with a Lifetime Achievement Award for her extraordinary commitment to advocacy for foster parents, especially foster parent training. Helen envisioned an organization offering foster parents a voice that had been missing for decades. She worked with the late Beatrice Garrett, MSW, Foster Family Services Specialist for the U.S. Children’s Bureau, and together, they created the National Foster Parent Association. Find strategies to recruit foster parents. Educate the general public about the role of foster parents. Have a standardized training program for foster parents. Create a national information exchange for foster parents. Publish guidelines for the development of foster parent associations. Provide consultation to agencies that want to improve family foster care services. Evaluate and report on the success of foster parent associations. Identify how policies and practices considered counterproductive to sound foster care could be altered. Through the 1970s, Helen worked tirelessly to advance a number of other innovations. She developed Parenting Plus, the first nationally disseminated curriculum for foster parent training, which included 16-millimeter training films such as “Don’t Condemn Me Until You Know Me,” to help sensitize foster parents and foster care workers to the needs of the parents of children in care. She advocated for standards for family foster care, still a cornerstone of CWLA’s contribution to the field. Helen also became a mentor to a new generation of family foster care educators and trainers. In the late 1970s, she provided consultation to me as a curriculum developer for the Nova Model of Foster Parent Recruitment, Assessment, and Training; Nova became the predecessor for MAPP (Model Approach to Partnerships in Parenting), and CWLA’s PRIDE Model of Practice. I had the privilege of meeting Helen when she came to consult on the Nova Model. She invited me to work with her on the development of training programs at CWLA, as well as for another federally funded advocacy endeavor, National Action for Foster Children. It was through that systems-change innovation that foster parent training spread across the country. Helen’s move near the headquarters of the NFPA made it perfect for a visit from Mike Peterson, Executive Director of PATH (which houses the NFPA), and Sarah Shafer, NFPA Administrative Coordinator, to present Helen with flowers in a vase inscribed with her Lifetime Achievement Award from NFPA and CWLA. At the end of May, Helen’s family wrote again, telling us that she passed away peacefully on May 22. We send our deepest sympathies to her family and friends. And we bid a fond farewell to a visionary, mentor, and true advocate for children and for family foster care. Eileen Mayers Pasztor, DSW, is a professor in the School of Social Work at California State University, Long Beach; a CWLA trainer/consultant; and former CWLA National Family Foster Care Program Director. 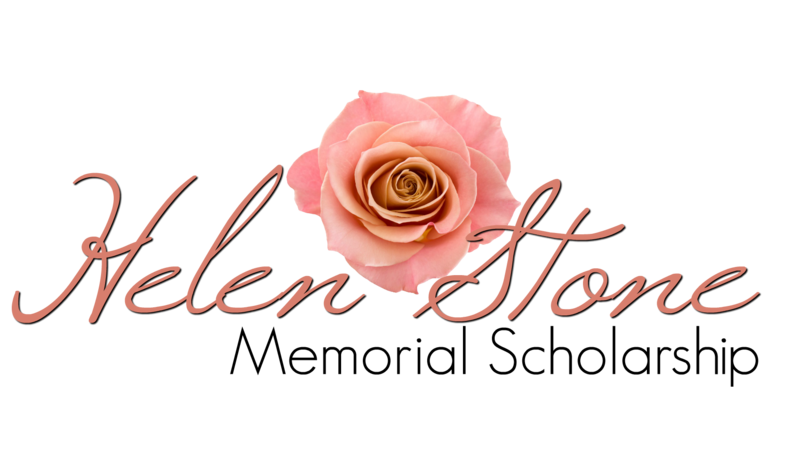 The Helen Stone Memorial Scholarship is awarded to current foster, adoptive, or kinship caregivers to provide assistance in attending the National Foster Parent Association's annual education conference. Each scholarship is worth $500 to be used for expenses in attending the 49th Annual Education Conference to be held in Anaheim, California on June 12, 2019, until June 15, 2019. Deadline to apply is April 12, 2019, and scholarships will be awarded by April 19, 2019. The funds will be available to you after you have paid the registration fee and arrived at the conference. You must be a member of the NFPA to apply for this scholarship. If you are not a member, you can click here to join now, then return to complete this application. NFPA board members and their family members are not eligible for this scholarship. You will need your NFPA member ID. To find your member ID, log in to the NFPA website and you will see your Member ID listed as a 7 or 8 digit number. You must be registered as an attendee for the 2019 Annual Education Conference prior to submitted your application. If you are not registered, please register here first.